1and1.com offers customers highly competitive package pricing with a number of hosting options. 1and 1.com has VPS hosting, dedicated hosting, and dynamic cloud hosting to suit security and data storage concerns for different personal and business needs. This provider uses state of the art hardware and innovative network configurations to maximize speed and reduce downtime with data balancing. They give clients reliable service that has been developed to accommodate current marketing trends such as regular and mobile websites. By working with a number of operating systems, 1and1.com can give customers good reach and management for their online presence. Along with a selection of server options, 1and1.com also provides customers basic and professional packages for hosting and website development. Domain name registration and host migration are also benefits for this provider, with safe content transference and seamless format integration. This allows clients to accommodate website growth and choose hosting options that allow for scalability. Although 1and1.com does offer foundation levels for website hosting, they also let clients customize their services with add-ons in order to meet specific needs. This can include webmail, higher security and data backup, file storage applications, and control panels. Further considerations are for the development of mobile websites so that clients can take advantage of cross-channel marketing. 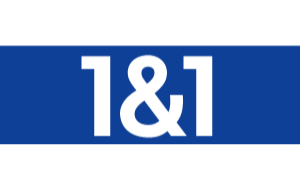 1and1.com is highly rated in security and in website uptime for all outlets. Their array of server options facilitates for good speed and bandwidth, and technical and customer support is also a constant benefit. This may include guidance and advice for site development as well as troubleshooting the rare occurrence of glitches. Active security features run daily scans and isolate threats and malware. This makes 1and1.com a competent host provider on many levels and instills confidence in the customers who are helped. 1and1.com delivers some of the most comprehensive web building tools that are available. One option is the downloadable web builder which guides clients through lay outs with a site wizard and one click options for uploading files. This is one of the quickest choices for immediate functionality, and also allows plug-ins and add on applications for social and promotional enhancement. Another choice is the Fusion software, which is a comprehensive but easy to use program that gets a client to construct a professional looking website with high functionality. It also tutors customers in managing content and files and making changes to the published output. 1and1.com has a solid hosting foundation with high powered servers and different data storage options to suit client needs. Many of the applications and add-ons are business based, but this aspect acts as a customer oriented guide for developing a web presence. One of the truly unique features of this host is the a la carte method of customizing basic packages, so that hosting provisions fully meet actual demands. I was not really satisfied with 1and1 for few reasons even though the price is good and you get a free domain. 1: the control panel was not user friendly 2: name servers took forever to update and i had to wait 14 hours. I’d go with Godaddy hosting, much faster. With a few different company websites to manage, I was really relieved that this service allowed unlimited domains with my package. I can now manage all my websites from one easy to reach source. I used the advertising credits provided by the service to put my business out on Facebook. Since doing so I’ve seen a steep rise in new visitors and this has translated to better sales! The list local feature has been very effective when it comes to bringing in new local customers to my construction company. Well worth the price of admission! The 1&1 Site Analytics really helps me to keep track of how our website is doing, and I can determine which marketing strategies have helped us best in getting our name out to the public. The 4 different package options let me pick just which package was best for my business. With the Unlimited package, I can see why it is a best seller! I was really happy to see that our website was not only available online, but on mobile devices as well. I appreciate that our exposure is never limited. The Email hosting services that came with my website hosting package gave me a more professional Email address that I was proud to share with our clients. The SEO service that this hosting company provided really helped to drive in new visitors to my company’s page. I couldn’t be more pleased with our newfound exposure. I was so happy to finally set up my ecommerce site. While my boutique shop didn’t get much business on the weekdays before, my sales have now doubled with the online store 1and1.com helped me to build. The unlimited websites I’m able to use with 1and1.com lets me manage all of my different pages from 1 site. Not only is this convenient, but I can save time while working on marketing my business as well. The Unlimited package that I chose has everything I need to build and maintain my business website. The value for the price can’t be beat! With both Linux and Windows capabilities, building my website has never been easier. I never once felt limited as to what I could do with my site or my creativity. Help us to help others by leaving a short review. What was your experience with 1and1?